I would choose Turmeric Tulsi, Classic Chai and Ginger Zing Teas and Cinnamon Sweet, Garlic onion and Italian Onion COconut oils. These would be amazing to cook with! 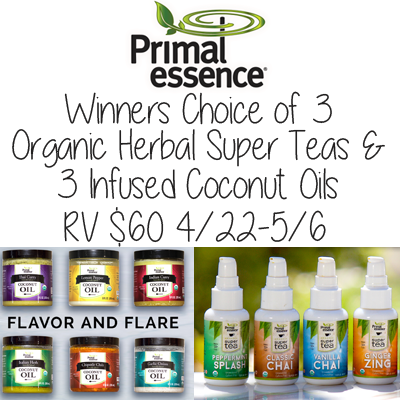 I would choose the Classic Chai, Vanilla Chai and Ginger Zing super teas. I’d choose the Garlic Onion, Italian Herb and Lemon Pepper Coconut Oils.